This week, live streams will be available from the Conference Culture(s) in Sustainable Futures – theories, policies, practices. 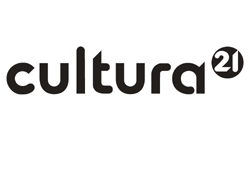 This big conference on Cultural Sustainability will take place from 6-8 of May, 2015 in Helsinki (cf. related posts on our homepage). To watch the streams, go to http://videonet.fi/culturalsustainability/live/. For the program of the streamed plenary sessions, visit: http://www.culturalsustainability.eu/helsinki2015/.